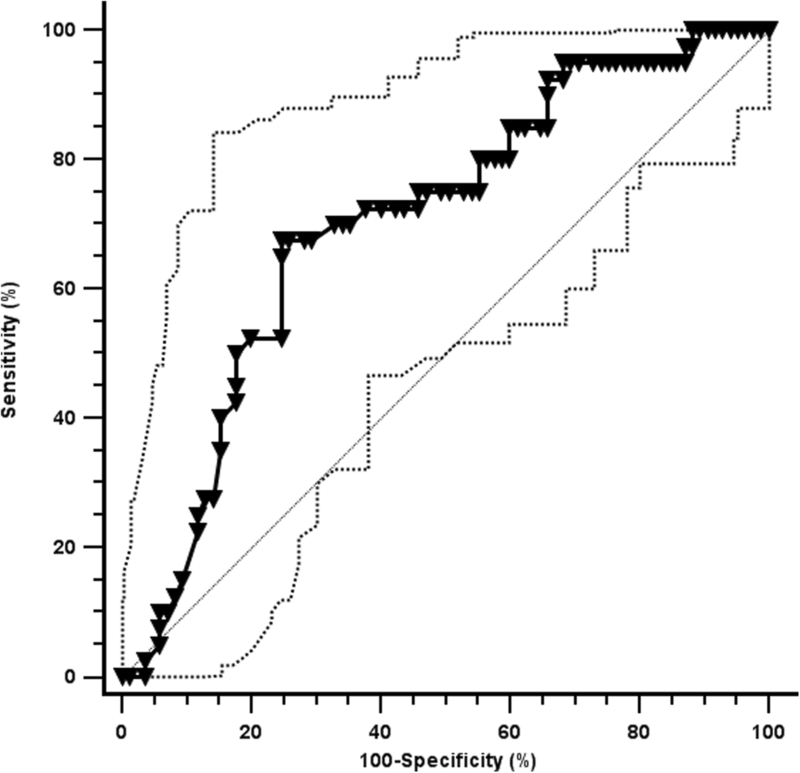 The available endogenous surfactant also influences lung aeration and, therefore, assessing the surfactant pool available early in life could be interesting to better understand the clinical picture and eventually guide surfactant replacement. Lamellar bodies are intracellular, easily measurable, surfactant storage granules released from type II-pneumocytes [8, 9]. Once in the alveolar space, lamellar bodies are subjected to the breathing cycle and form the surfactant layer adsorbed at the gas/liquid interface [9, 10]. Thus, lamellar body count (LBC) is an estimation of the available endogenous surfactant. LBC correlates with lung aeration evaluated by a semi-quantitative lung ultrasound score [11, 12]. LBC can be realized on amniotic fluid and is used as prenatal lung maturity test, as it has a good reliability to predict the RDS occurrence [13, 14], but is also doable postnatally (at the delivery or using gastric aspirates obtained before the first feeding) [15, 16, 17]. 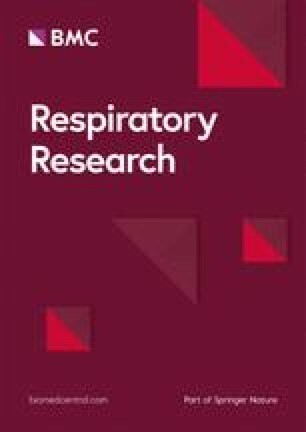 The knowledge of the available endogenous surfactant pool in RDS neonates undergoing CPAP might be an important information to understand the physiopathology and the clinical picture of each case. 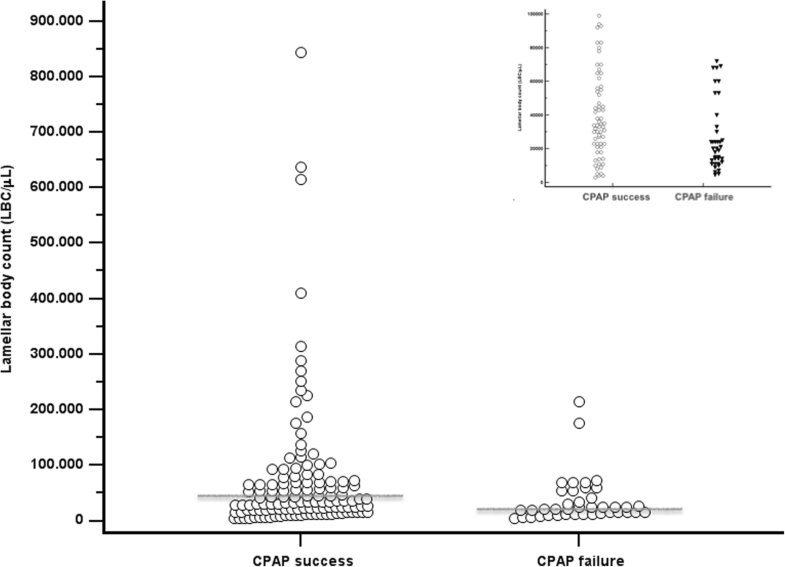 Moreover, if a point-of-care test measuring surfactant pool would be able to predict CPAP failure, that could theoretically help a more tailored and optimized surfactant therapy. We measured the early life surfactant pool in preterm neonates who received optimal perinatal care and were treated with CPAP according to formal protocols based on more recent evidences [1, 2, 3].